Q. What’s your latest book about? A. 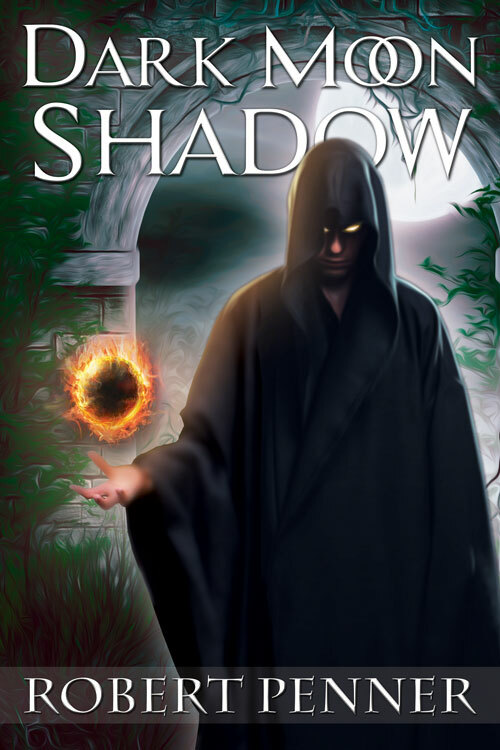 My latest book is titled Dark Moon Shadow. This book is purely Fantasy. Dark Moon Shadow has a little of everything. Sword fights, battles, rescues, good against evil, complicated friendships, wizards, and yes of course magic weave across the pages. Dark Moon Shadow tells the tale of a boy (Timson) entering manhood who learns that he is the only offspring of a true wizard. 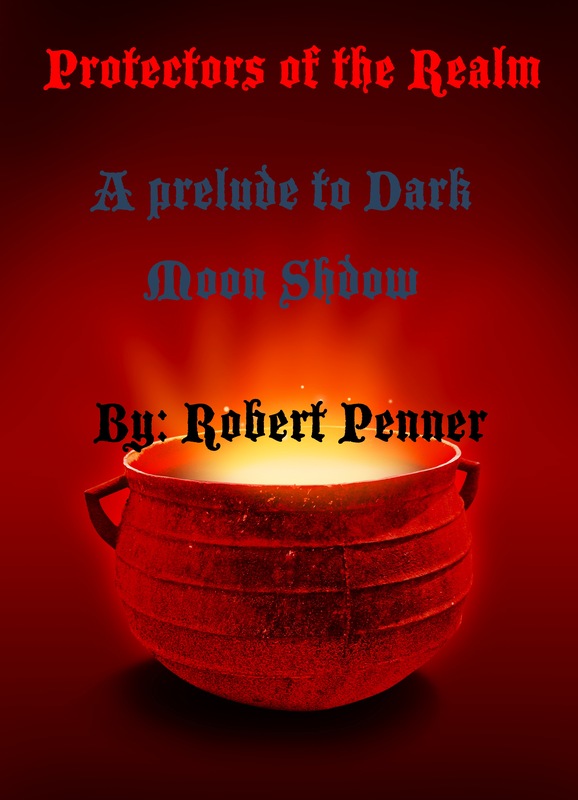 His journey begins when the land is cast under a powerful spell called the Dark Moon Shadow. While most of the land is spelled unto an allegiance to the Black Wizard, who cast the spell, there are those who did not fall under the spell and challenge him. As we follow Timson’s journey we get a closer look at the Council of Wizards and the unique magic they posses and the struggle they wage against the Black Wizard in order to free the land from this terrible spell. Timson, along with the help of Elves, Wizards, and his closest friends, fight for life and freedom from evil and tyranny. Q. Do you have any other books that are published? A. I do… mostly short stories that can entertain for an hour or two depending on your reading speed. These short stories fall under fantasy for young adults (teaching a moral lesson), and paranormal for everyone else. 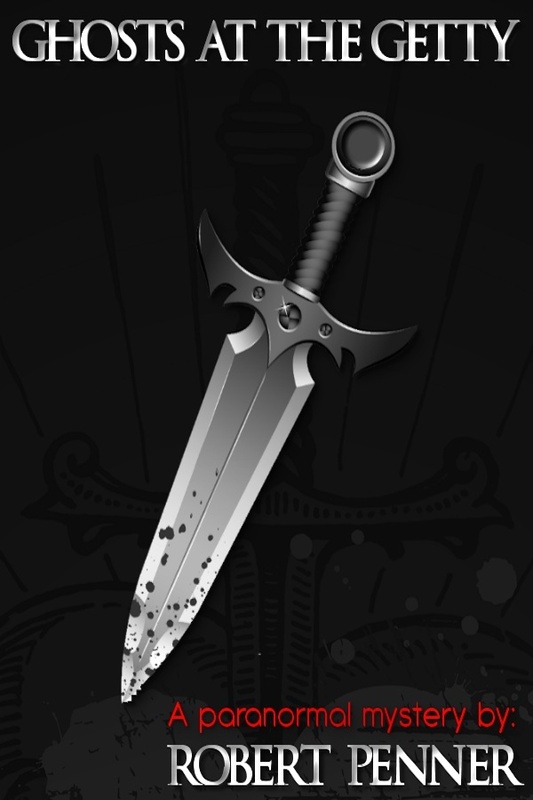 I have one other full length novel, my first, entitled The Fifth Gospel (Deception Rising). All of these are self-published. Magic Library Chronicles: The Mysterious Knight, The Queen of Newbury, and Exaggeration Station. Jeremy Swatt and the Feline Travelemtus. Paranormal Short Stories: The Unwrapped Gift with the Bright Red Bow, Ghost at the Getty, Miracle Deposit, and Tempest. Q. Which do you prefer writing or editing? Why? A. Writing of course. I enjoy the process of dreaming a story and then putting it from pen to paper, or keyboard to text if you will. It is the very reason I love reading…it’s about the story and the imagination that drives us. Stories make a great escape from a very busy and stressful world. I can hardly wait for each day to end as I get off work and settle down to a good Fantasy read. I take this same passion into my stories and hope it brings the same feeling to others who enjoy the genre. I hate editing with a passion. It is the worst part about being a writer in my opinion. By nature I am not a very good speller, but I love writing. How can you reconcile the two? Well, I choose to tell a story anyway, and hope people out there enjoy it and that it helps them escape the challenges of life for a time, and bring them pleasure. Because of this, editing can become a great hurdle. Paying for a professional editor can be expensive, so I rely on those around me to lend a hand and spot what spell check does not catch. Although, my works are greatly improved from error, my earlier publishing suffered a little and as a result landed lower ratings due to missed spelling error instead of the substance of the story. This doesn’t get me down, but inspires me to keep making progress in that department, and as a result I have had better review’s for my recent works. 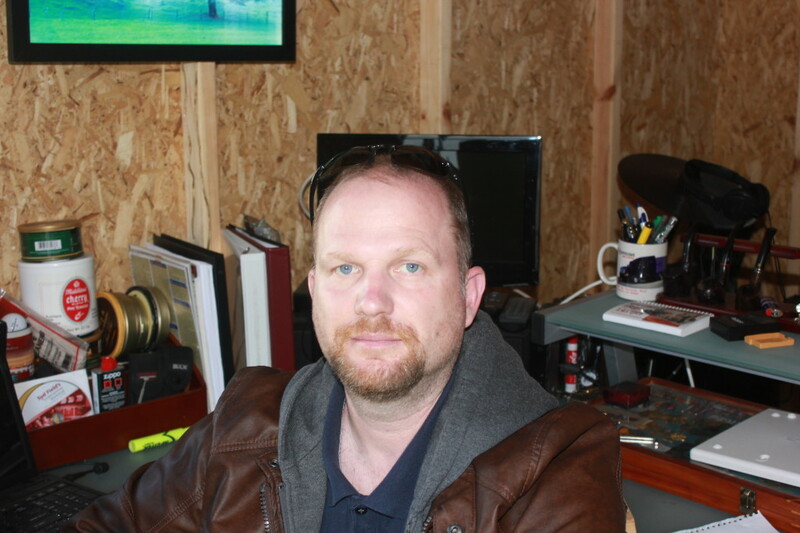 The main goal is to get a good story out, and that is what I do. Q. What are your career goals as an author? A. At first it was to make a living with my writing as most authors dream about, but as reality set in I focus on getting a good story out, and hope that people catch on to it and enjoy it enough to spread the word about my writing. Writing as a career is always in the back of my mind, but self-publishing is not easy work and the rewards in the term of profit are difficult. As of now my goals as an author are just to keep putting my dreamt of stories into e-book and share the process with anyone who would take chance and read them. Q. What promotions have worked best for you? A. As most struggling authors can attest to this is the hardest part about self-publishing. Getting the word out. How do you share the news about your book without bothering your twitter, blog, and facebook followers? It’s challenging to say the least. Making your book free will for sure get you the most downloads, but it won’t get you any reviews nor make you any money for your hard work. The best promotion is putting out good blog posts that drive people to your site and as a side note give them options of seeing your work and hopefully they take a chance. This takes a lot of time away from writing, but it seems to be the only thing that works without pushing your product on people. Q. What’s the inspiration for your latest book/series? A. Fantasy is my inspiration. That is all I write, and currently what I read. Terry Brooks is a Fantasy hero of mine. Michael Stackpole is also another Fantasy giant in my view. I’ve studied these authors and have learned a ton from them. I try to craft my skill from what I’ve learned from writers such as these. Stackpole spoke a lot about self-publishing and the art of it and I’ve taken his advice and from start to finish about self-publishing and marketing. Brooks is a great story teller and I’ve tried to learn how he weaves a story together without making it too complicated. In many ways I have done that in my own writing. Making good fantasy is my inspiration. Q. How do you nurture your creativity? A.There is nothing specifically I do to nurture my creativity, but when I do get an idea I write it down and make an outline. That keeps the memory alive. The best way to grow creativity is to just sit and be still. That is a hard task when life is so busy. But just allowing yourself to dream is the best way to nurture ideas and make up great stories. Q. What conferences do you attend? A. I have never attended a writing or fantasy conference. I’ve read a lot about them though. Comicon or some Fantasy related conference would be one I would love to attend. Q.What’s your writing process like during a rough draft? A. Fast. I never edit on the fly. Once my outline is complete I set out according to my notes and let my imagination take over. My outline helps me stay on point, but I just sit down and let my fingers take the words where they go until each chapter is completed. Once the book is complete then the edits and re-writes commence. Thanks for the interview…it was a blast. LINKS: http://www.pennerstories.com(there anyone can visit my bookstore, follow my blog, or follow me on twitter. Thanks to Robert for appearing in Fantasy Authors Unplugged today. Please take some time to look at his contact information as well as his book links. I looking forward to reading his work in the near future.